When Samsung launched the Galaxy S10 (and S10+ and S10e), the company made a very big deal about the new ultrasonic fingerprint scanners it’s using in the phones, and how they’re a lot better than optical fingerprint scanners, since they use 3D maps of the user’s finger to authenticate and unlock the phone. While all that is true, they are more secure since they’re using a 3D map instead of a simple image of the fingerprint, that doesn’t mean they’re not vulnerable to hackers, and people who have the time to actually fool them — 13 minutes of time, by the way. In a post made to popular image and GIF sharing website, Imgur, user darkshark showed off a video of him unlocking his Galaxy S10+ with a 3D printed fingerprint of his own finger. He even explained the process, and how long it took him to create a 3D fingerprint that could fool the Galaxy S10+ into thinking it’s a real print. According to his post, darkshark took a picture of his fingerprint off of a wine glass, processed it in Photoshop, and modelled it in 3DS Max to get a 3D printable version of it. After some quick printing, and a couple of tweaks to the print, he was finally able to get a 3D printed fingerprint that unlocked his phone without any issues. He pointed out that the process isn’t very difficult, and anyone with working knowledge of photoshop and 3DS Max could easily do this with a picture of their target’s fingerprint. “I can do this entire process in less than 3 minutes and remotely start the 3d print so that it’s done by the time I get to it,” he said. This isn’t the first time a phone claiming to be more secure than others has been tricked into unlocking with 3D printed stuff. In 2017, researchers were able to trick the iPhone X’s Face ID with a 3D printed face mask, and law enforcement officials have also used a 3D fingerprint in the past to get into a victim’s phone. 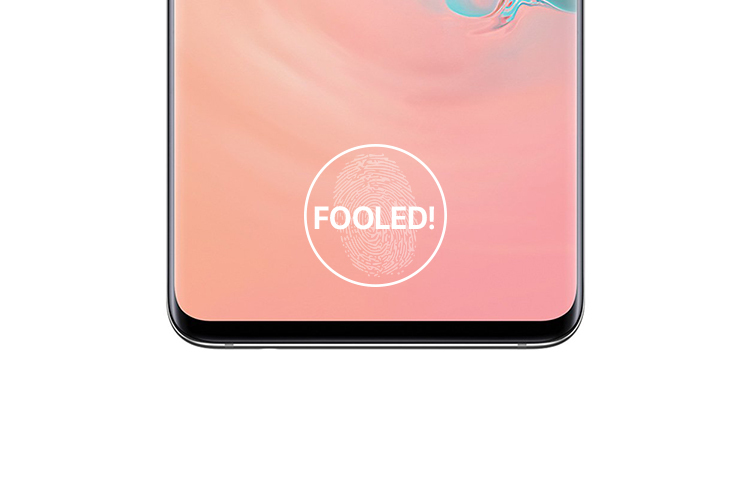 Still, this just goes to show that everything can be fooled, and if you’re thinking your phone is secure with an ultrasonic fingerprint scanner, maybe think again, and wipe your fingerprints off of every surface you touch. But that might be going too far.